VIZ Media has announced the release of Dragon Ball: That Time I Got Reincarnated as Yamcha! and Bleach Box Set 3 in early November. VIZ Media, LLC has released the latest edition of the Bleach anime series on Blu-ray with the home media release of Set 2 on January 31st. Loot Anime’s Next Theme Revealed – DEMI-HUMAN! They walk among us. Less than human, sometimes MORE than human! The creepy. The powerful. The DEMI-HUMAN. Are you one of them… or the one that fights against them? Gear up with collectibles, home goods, apparel and more from some of your favorite monster-powered anime and manga series in the next Loot Anime box! You can pre-order it now. Expect items from One-Punch Man, Bleach, Tokyo Ghoul, and Twin Star Exorcists! VIZ Media rounds out the First Quarter of 2016 with a new digital anime update for March. 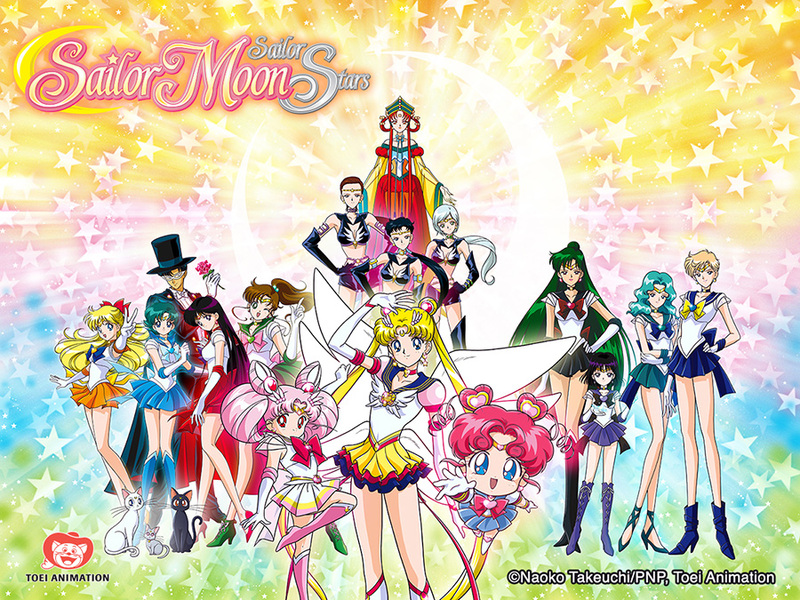 This month’s content is highlighted by exciting additions of new dubbed and subtitled episodes for hit anime series such as Bleach, Naruto Shippuden and Sailor Moon Sailor Stars, the exciting final story arc of the classic Sailor Moon series that is finally available legally in the U.S. exclusively from VIZ Media. Supernatural soul reaping action continues with the final season of BLEACH episodes! Catch the addition of Episodes 356-366 available to stream uncut with dubbed English dialogue beginning on March 27th giving you the chance to now watch the entire series subbed or dubbed any time you want! Brand new weekly simulcasts of the latest action packed NARUTO SHIPPUDEN episodes are scheduled to take place every Thursday throughout March. Catch Episode 451 on March 10th, followed by Episode 452 on March 17th, Episode 453 on March 24th and Episode 454 on March 31st. March brings new, subtitled North American premieres for SAILOR MOON SAILOR STARS (Season 5) with 2 exciting episodes every week. Don’t miss Episodes 190 and 191 on March 7th, followed by Episodes 192 and 193 on March 14th, Episodes 194 and 195 on March 21st, and Episodes 196 and 197 on March 28th. This month, SAILOR MOON Season 4 (Episodes 128-146) is also available to stream in its entirety on-demand. VIZ Media’s consolidated online destination for FREE streaming anime content in the U.S. has over 4,100 subtitled and English dubbed episodes and movies from more than 36 series! VIZ Media’s streaming content also reaches an expansive on-demand U.S.-based audience on Hulu, which enables viewers to watch shows anytime, anywhere across devices. It’s pretty rare for Shueisha, the company that runs Weekly Shonen Jump, to publish a video game title. Heck, I’m pretty sure Pluto was a still an official planet in our Solar System the last time fans got a game. Needless to say, it was exciting to hear about a new title coming out. I was a huge fan of the Nintendo DS games Jump Super Stars and Jump Ultimate Stars, so bringing a game onto on a more powerful console seemed like the next logical step to give fans an epic game. The thought of playing as my favorite characters from comics like Naruto, Dragon Ball, Bleach and several other comics sounded amazing! Any fan who tries to keep up with Japan in manga chapters has seen or heard of J-Stars Victory Vs+ (I don’t know who thought this would be a suitable title, shame on them…) because they advertised it almost every week in their magazine. Unfortunately, like their previous titles, the game wasn’t set to release anywhere else but Japan. The only reason I even played the previous games was because the Nintendo DS didn’t have regional lockout (Why Nintendo decided to start this with the 3DS is beyond me…). With how many titles Weekly Shonen Jump actually publishes in Japan vs. the rest of the world, it makes sense that the games would mostly cater to a Japanese audience. Several titles, while amazing, simply don’t translate well, or the West just isn’t interested, and it’s rare for readers to get a title as different as Death Note from Jump’s repertoire, as most of their manga usually revolve around a story that feels like it’s been done before. The story itself, like with any fighting game, is pretty terrible and generic. With a focus on a “Jump Tournament,” players take on one of four stories that revolve around a specific set of characters on their path to become the best warrior. While I’m not expecting a critically acclaimed story, the dialogue feels forced, the characters seem out of place, and they don’t have any of the elements that truly makes them the characters we know and love. Sure this is a collaboration game and all of the characters don’t necessarily fit together, but with such a boring plot, it was just painful to watch. It wasn’t even animated, so much as the developers used cutout drawings of the characters during dialogues. It felt like it should have been on the Playstation 1, rather than the Playstation 3 or 4. If I was a developer and the story was that bad, I would have just opted to take it out and give fans a basic fighting game at its roots. What bothers me most about the story is that there isn’t even a villain. The previous Jump games did a much better job about having a specific villain threaten the Jump multiverse. The characters you chose didn’t need dialogue, just a goal. Beat up the bad guy. I’m pretty sure that throwing in Disney villains would have made for a better story. The only reason this section is getting an extra .5/10 is simply because there are cameos by other Jump characters. The fighting mechanics are so choppy and terrible, J-Stars feels more like a really poor hack ‘n’ slash than a fighting game. Players get a choice between heavy and light attacks with the ability to mix both, but in all honesty, one only needs to mash the light attack button. The heavy attack is so slow that it usually gets interrupted, making me question why it was even implemented in the first place… After every combo, the opponent goes into a long invincibility frame that gives them plenty of time to counter attack, leaving you stuck with either guarding or taking a hit. With no means to get yourself out of an enemy combo, you’re pretty much unable to do anything until it’s over and even blocking doesn’t last very long.. The team battles are also too chaotic. I would often find myself getting double-teamed by the computer with my own teammate drooling in the corner, shooting attacks that missed more than they hit. With the team sharing one support character, you had to be very careful about when and where to use it, as the support characters have a cooldown after every use. Unfortunately the computer likes to hog this function, which leaves you unable to play them when you would like to. Trying to stay true to the manga, each character also has a super mode they can go into that reenacts a famous moment in the manga/anime. This was honestly the best part about the game. Players are allowed to go into Super Saiyan mode with Goku, the Nine-tails chakra mode with Naruto, and so on. Unfortunately, some characters had better transformations than others. Ichigo from Bleach unleashes a devastating attack at the cost of his life, not even bringing you down to a sliver of health- a bona-fide kamikaze attack. While dying doesn’t necessarily mean the end of the fight, it gives the opposing team points, so if you enjoy losing, then Ichigo’s the character for you. I’ve played several anime/manga related games, and utilizing cell-shaded graphics provides an anime-like feel to the game. The developers at J-Stars didn’t seem to want to use it though, and opted to just go a more standard route, and it shows. As I said, the game looks like it belongs on the Playstation 2 rather than the 4, which is a real letdown. While this may be a fighting game, someone had the idea of adding a world map to make the game more RPG like, and traveling can be tedious. With a large map and a slow-moving boat, going back to places to complete side quests felt more time-consuming than rewarding. The side quests either consisted of fighting other characters, or going from one side of the map to the other to collect a trivial item and deliver it. The worst part about this was that you couldn’t even unlock characters this way, you just got money in order to buy them. It’s such a shame that this title was as terrible as it was. With the potential of having a Super Smash Bros-like game for anime fans, this game could have been amazing. While some fans may enjoy the game and want to play it just to support Shonen Jump, I was completely let down, and regret spending my money on it. It’s a shock this title even got past testers without serious complaints. I would have loved nothing more than to see Shonen Jump and other mangas get more exposure, since there are really good titles out there that deserve more readers. Unfortunately this game might set them back a bit with future games. Let’s just hope we don’t have to see another planet taken off of the official list before that happens. All in all, I’d suggest leaving this one on the shelf and saving the $60. I wouldn’t even recommend it if you find it used. VIZ Media has announced exciting details for a pair of forthcoming manga (graphic novel) box sets that are sure to capture the attention of die-hard readers and fans of the popular Bleach and Naruto series. MSRP: $214.99 U.S. / CAN · Available July 2015! Ichigo Kurosaki never asked for the ability to see ghosts–he was born with the gift. When his family is attacked by a Hollow–a malevolent lost soul–Ichigo becomes a Soul Reaper, dedicating his life to protecting the innocent and helping the tortured spirits themselves find peace. In the latest Box Set volumes, after finally rescuing their friend Rukia, Ichigo and friends return to their quiet lives in the world of the living. However, the peace is short-lived as new enemies arrive from the world of the Hollows. Aizen is back, and Ichigo may be the only one who can stop him for good! MSRP: $174.99 U.S. / CAN · Available July 2015! Naruto is a young shinobi with an incorrigible knack for mischief. He’s got a wild sense of humor, but Naruto is completely serious about his mission to be the world’s greatest ninja! In the second NARUTO Manga Box Set, featuring Volumes 28-48, it’s been more than two years since Naruto left to train with Jiraiya. Much has happened while he has been away, and new threats to the ninja world have emerged. Can Naruto prove his worth and rescue his friend Sasuke? The new box set also will feature an exclusive mini-comic containing the NARUTO pilot story and a full-color, double-sided poster. VIZ Media’s Weekly Shonen Jump manga magazine returns to its roots in print as it gives North American fans a special treat with the release of the Weekly Shonen Jump Jump Pack 2014, Issue 2 available now. The jam-packed print edition contains more than 100 pages of the world’s most popular featured series and is an ideal way to check out what the digital Weekly Shonen Jump magazine offers. The latest Jump Pack issue features the current hit series, All You Need is Kill, by Takeshi Obata, as well as chapters from continuing fan favorites such as Bleach, Naruto, One Piece, Yu-Gi-Oh! Zexal and much more. The issue also includes a promotional code for a 3-month weekly digital subscription to the magazine along with a limited edition Blue-Eyes White Dragon Yu-Gi-Oh! trading card with exclusive variant art from Kazuki Takahashi. VIZ Media welcomes the beginning of Spring with a fresh round of digital manga. Shojo fans will not want to miss the launch of creator Bisco Hatori’s acclaimed wistful romance, Millennium Snow, available now. Notable updates to a variety of other popular ongoing series also include the latest volumes – available now – for: Bleach (Vol. 60), Dragon Ball Full Color (Vol. 2), Deadman Wonderland (Vol. 2), Sweet Rein (Vol. 2), Naruto (Vol. 65), Toriko (Vol. 21); Happy Marriage (Vol. 5) is also available (only on VIZManga.com and select partner platforms). All of these editions launch digitally the same day as print. April 15th will also see the debut of the latest digital-exclusive edition of the hard-hitting superhero action series, One-Punch Man (Vol. 2). These titles complement additions to more than 16 other popular manga series and will also feature special multi-volume updates for Boys Over Flowers (8 new vols. ), Firefighter! (2 new vols. ), Knights of the Zodiac (7 new vols. ), Phoenix (3 new vols. ), and Whistle! (5 new vols.). Two additional weekly updates will follow on April 22nd and 29th. MSRP: $6.99 (U.S. / CAN) ·Available Now! MILLENNIUM SNOW is a celebrated shojo manga series created by Bisco Hatori. Seventeen-year-old Chiyuki Matsuoka was born with heart problems, and her doctors say she won’t live to see the next snow. Toya is an 18-year-old vampire who hates blood and refuses to make the traditional partnership with a human, whose life-giving blood would keep them both alive for a thousand years. Chiyuki makes the most of the time she has left, even though things aren’t that exciting–until she comes across the reluctant vampire late one chilly night. Can Chiyuki teach Toya to feel passion for life, even as her own is ending? VIZ Media has announced a special first-ever Bleach design contest with WeLoveFine. Artwork submissions will be accepted through midnight on Tuesday April 8th, 2014. Artistic fans across the U.S. are invited to tap their Bankai and create original and innovative designs that will have a chance to become officially licensed Bleach t-shirts / merchandise. In addition to cash and other valuable premiums, one lucky winner will be awarded a Grand Prize package that includes airfare to Los Angeles, CA and a full show pass to attend Anime Expo 2014, July 3rd-6th, where they will meet the VIZ Media and WeLoveFine teams, and enjoy a fun weekend jam-packed with all things anime/manga. The contest’s judging panel includes Bleach manga creator Tite Kubo and his series editor, Shueisha’s Yujiro Hattori, and representatives WeLoveFine, hip apparel retailer Hot Topic, and anime/manga/media site, Crunchyroll.com. Full contest rules and a downloadable submission kit are available online. All designs MUST incorporate characters and themes from the Bleach anime and/or manga series. Art pieces should be scanned and submitted to WeLoveFine. Submittals must be 100% original and exact copies or tracing of Bleach manga or anime will not be accepted. One (1) Grand Prize winner will receive an all expense paid, 3-day 2-night trip to attend Anime Expo 2014, the nation’s biggest annual anime convention to be held in Los Angeles, CA, July 3rd-6th at the Los Angeles Convention Center. Prize package includes an Anime Expo membership badge, 1 round trip airfare ticket (limited to U.S. domestic flights only) and lodging near the convention center. Other valuable prizes will also be awarded. Three (3) runner-up Guest Judge’s pick winners will each win a $300.00 Cash Prize. One (1) Hot Topic Pickwinner will receive a $300.00 Cash Prize and have their design carried exclusively by Hot Topic; One (1) Crunchyroll.com Pickwinner will receive a $300.00 Cash Prize and have their design carried exclusively by Crunchyroll.com; and One (1) WeLoveFine Pick winner will also receive a $150.00 gift certificate from WeLoveFine.com. BLEACH is a tremendously successful multimedia property internationally. The manga has been licensed to more than a dozen countries and has sold over 50 million copies in Japan alone. In North America, the manga has been a sales hit and the popular animated series (both rated ‘T’ for Teens) is viewed weekly by millions in the United States and Canada. This success has further spawned an array of related video games, apparel, action figures, trading cards and other merchandise. For more information on BLEACH please visit www.viz.com/Bleach. VIZ Media has announced it’s speading up the print editions of Tite Kubo‘s action manga graphic novel series Bleach. Beginning this month and continuing through December 2012, two new Bleach manga editions will debut every month. Ichigo Kurosaki never asked for the ability to see ghosts – he was born with the gift. When his family is attacked by a Hollow – a malevolent lost soul—Ichigo becomes a Soul Reaper, dedicating his life to protecting the innocent and helping the tortured spirits themselves find peace. Find out why Tite Kubo’s BLEACH has become an international manga smash-hit! Pushed to the verge of death by Ulquiorra, Ichigo releases his Hollow powers. But can Ichigo control his powers long enough to claim victory against his rival, or will he lose everything he’s been fighting for…?